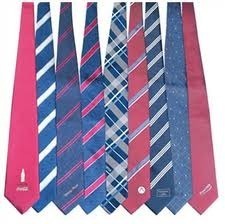 Vicky selection company has on offer a large range of corporate ties that come in a variety of Ties Collection such as the striped neck ties, plain neck ties and various other models. Sold in a variety of patterns and sizes, these neck ties come to be ideal as a gift item. We make use of the best in terms of quality output. We sell at industry leading prices and make use of the most sophisticated system designs to achieve quality on our outputs. Vicky selection company has on offer a large range of corporate ties that come in a variety of styles such as the striped neck ties, plain neck ties and various other models. 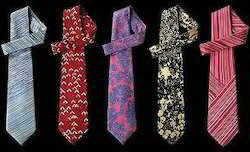 Sold in a variety of patterns and sizes, these neck ties come to be ideal as a gift item. We make use of the best in terms of quality output. We sell at industry leading prices and make use of the most sophisticated system designs to achieve quality on our outputs. 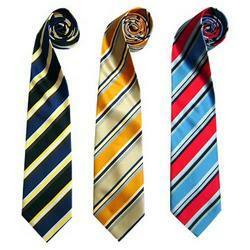 We supply a different variety of ties for schools and corporates as per the requirement.